Regard yourself as the center of the world. Have no regard for other's interests, beliefs, or attitudes other than your own. 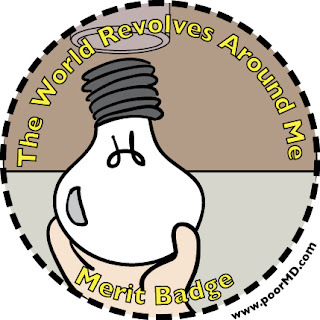 Please note that completing a surgical residency at an ACGME accredited institution also fulfills the requirements to earn this merit badge. Please refer to the comic, Surgeon's Lightbulb for more information.